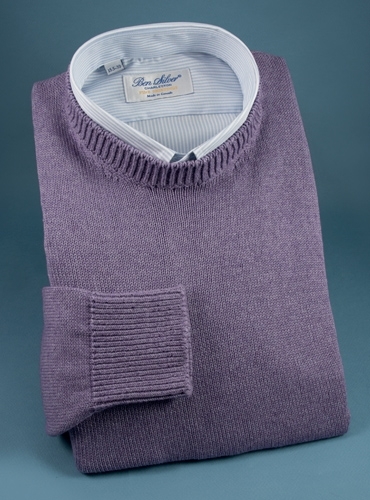 You will love the exceptional hand of our crewneck long sleeve sweaters knitted from a blend of 60% cotton, 20% cashmere and 20% silk. Made exclusively for us by Inis Meáin of Ireland, each sweater is fashioned with a traditional banded collar, cuffs, and waistband. 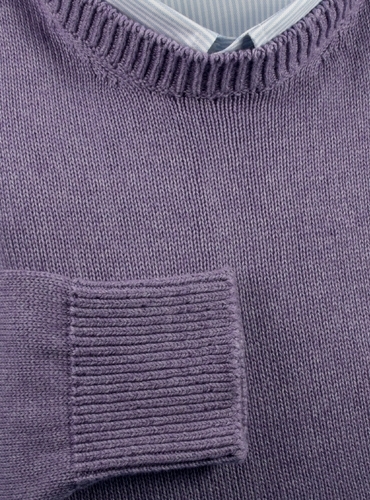 Shown here in A-lavender. Available exclusively in a size medium.